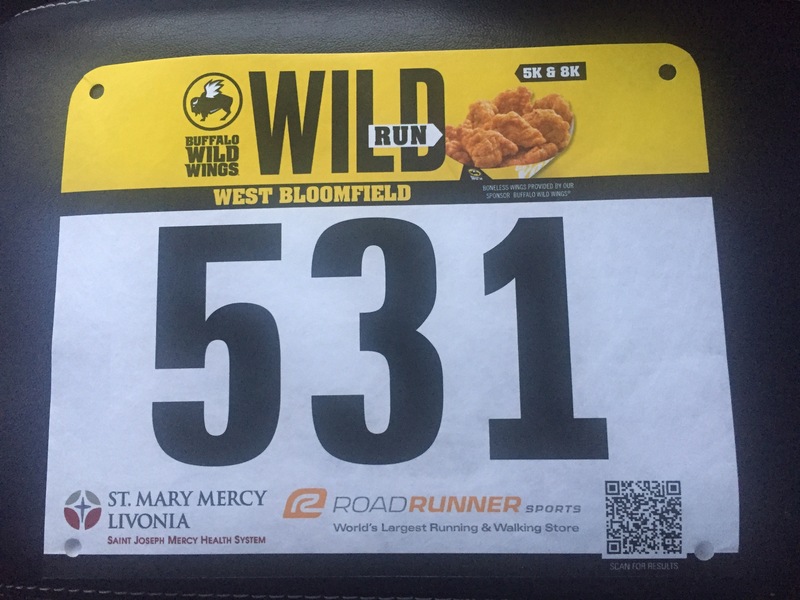 I ran in the Buffalo Wild Wings 8K Run in West Bloomfield, Michigan this morning. This is a brand new race in the Kona Race Series. The temperature at race start was 39 degrees and sunny 🌤. The race started at the Jewish Community Center in West Blooofield. The packet pick-up and registration area was easy to find and they had plenty of volunteers. The race started shortly after 8am with the singing of the National Anthem. I took it easy the first mile. 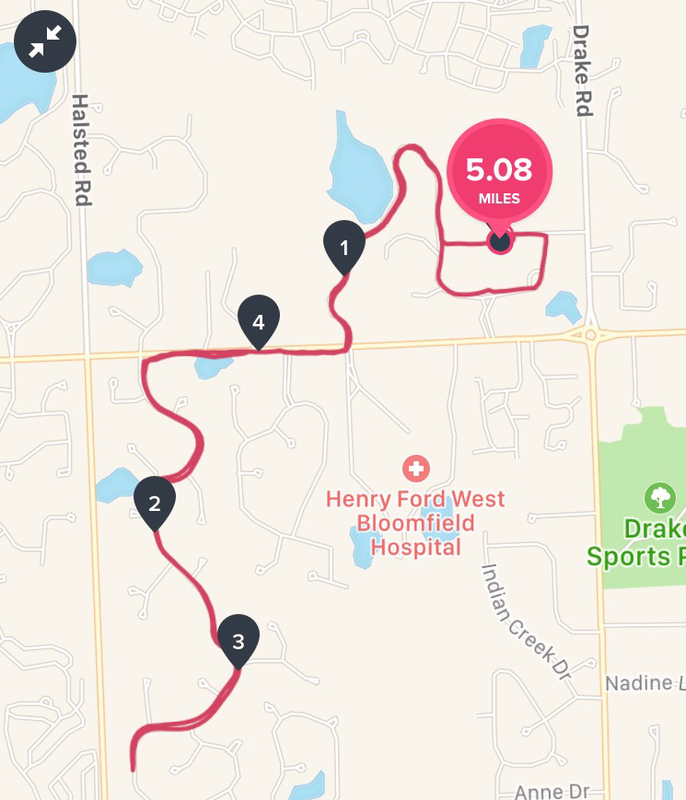 When I reached the second mile mark, I began to pick up my pace and got into my groove. Miles 2-4 was strong. My fastest mile was mile 3. I held my position for the last 3 miles. The course was moderate with a few hills sprinkled throughout. One lady passed me in the last 1/10th of a mile. She was trailing me for 1-1/2 miles or so. After the race I gave the lady a high five and she told me that she was following my big shoes. I couldn’t help but laugh 😂. I said to her “you have to find something to focus on to get through the race”. Glad I could help! That was too funny! I finished the race with a time of 41:43. I finished 33rd of 212 overall and 8th of 28 in my age group. 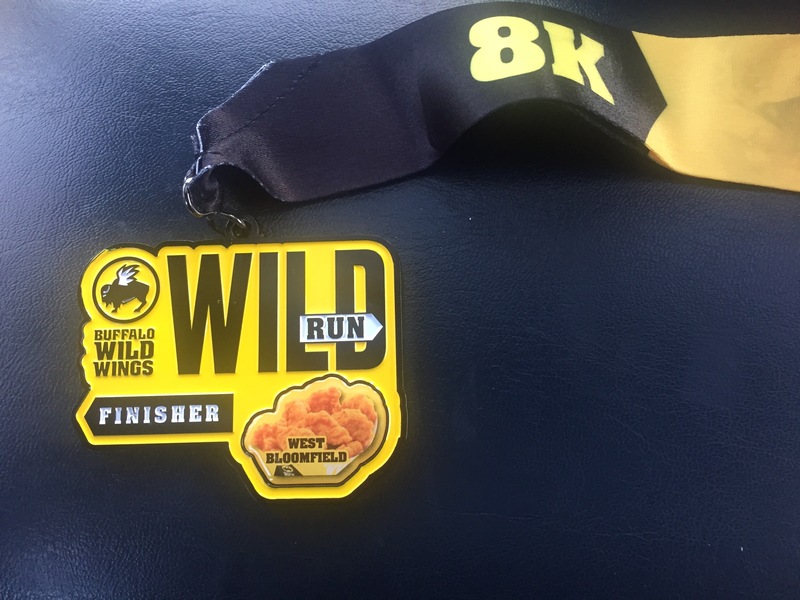 After the race the finishers were treated with boneless wings from Buffalo Wild Wings. The wings were so delicious and totally worth it! Overall, I had a great time at the race. Kona Racing Company does a great job planning and organizing races. They also have some of the best medal designs. Another race in the books! 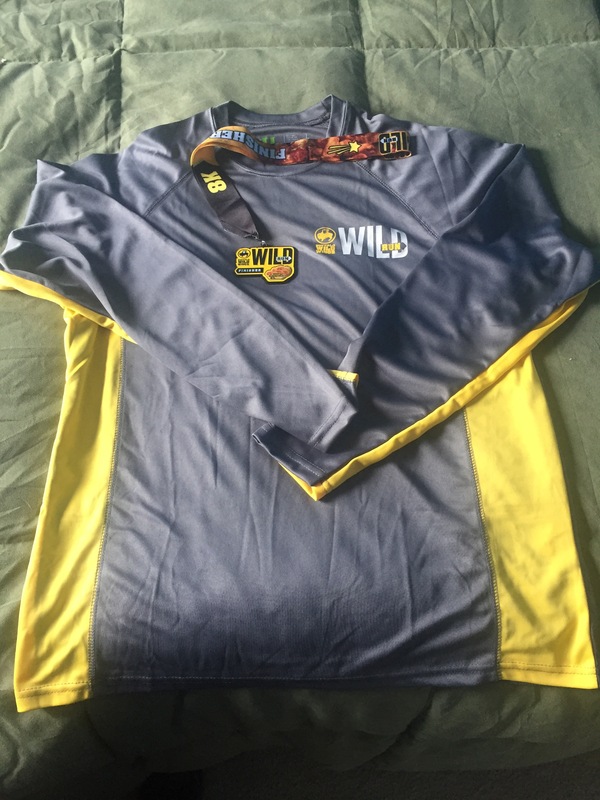 Kona Race Company has another Buffalo Wild Wings race this September in Canton, Michigan. My next race takes place on April 22, 2017. I’m running the Martian 5K and Martian Half Marathon in Dearborn, Michigan. I can’t wait!